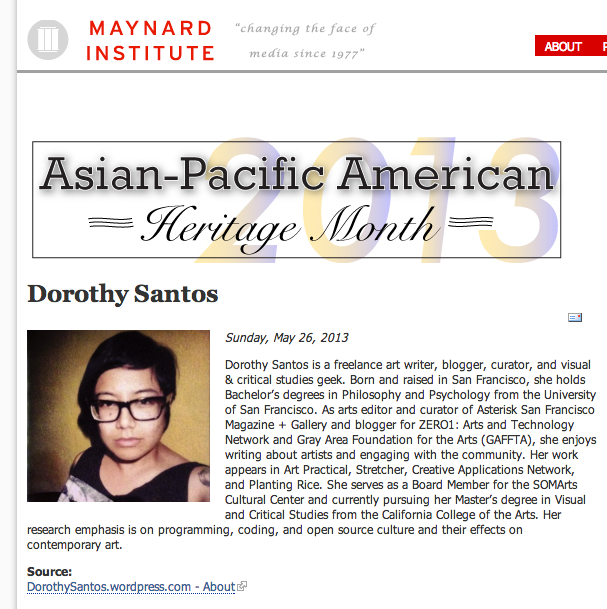 Posted in Art Writing and Criticism, Observations, Writing Practice and tagged as asian american heritage month, asian-pacific american writers, maynard institute, writers. You are extremely proud? You are extremely deserving of the honors! You are a major asset in every circle of your endeavors, a true manifestation of the venerable movers & shakers- yea, trailblazers of this world…!